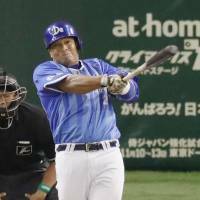 Yokohama BayStars manager Alex Ramirez said he wanted to keep things as close to normal as he could in the team’s Climax Series debut. Yoshitomo Tsutsugo hitting a big home run is pretty much as normal as it gets for the BayStars this year. 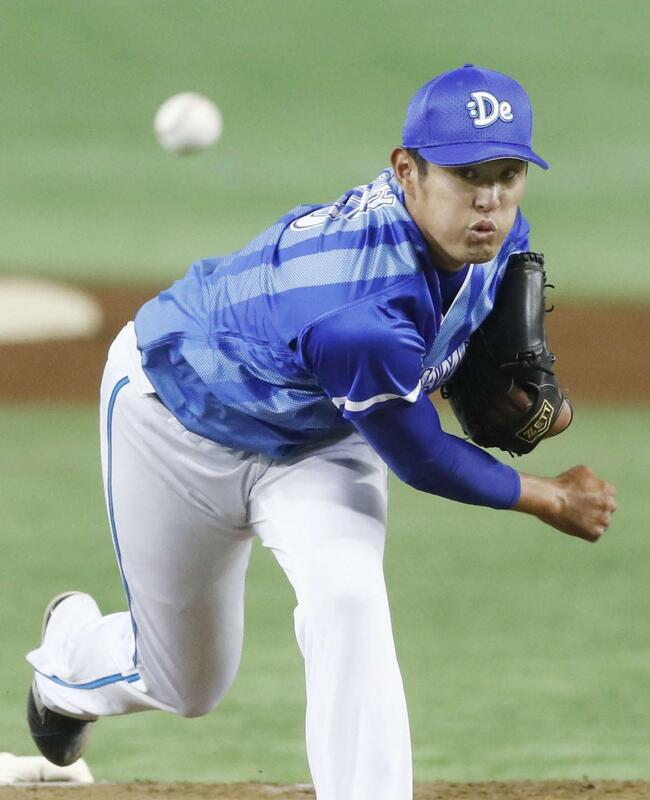 Tsutsugo erased a one-run deficit with a two-run home run, and Shoichi Ino turned in a solid start as the BayStars beat the Yomiuri Giants 5-3 in Game 1 of the Central League Climax Series First Stage on Saturday at Tokyo Dome in front of a crowd of 45,633. The BayStars are the last of the 12 NPB teams to compete in the Climax Series and lead their best-of-three matchup against Yomiuri 1-0. They can advance to the final stage, where the CL champion Hiroshima Carp are waiting, with a victory in Game 2 on Sunday at the Big Egg. History is on Yokohama’s side going forward as eight of the nine teams to win Game 1 in the first stage went on to win the series. The 2009 Chunichi Dragons are the lone exception, coming back to beat the Tokyo Yakult Swallows after losing the first game. “We hope we can wrap it up with a win tomorrow and make it nine out of 10,” Tsutsugo said. BayStars fans packed Tokyo Dome and made their voices heard as the team played a postseason game for the first time since winning the Japan Series in 1998 — the CL didn’t adopt a playoff system until 2007. Tsutsugo has more than a few homers to his name this year, with a sayonara shot against the Kyojin on July 22 among his NPB-best 44. He came up with his team trailing 2-1 with two outs in the sixth and sent a 3-1 changeup from Miles Mikolas into the stands in right. Yokohama did most of its scoring with home runs. Takayuki Kajitani hit a solo shot in the third and Jose Lopez had a solo home run in the ninth. Yasutaka Tobashira drove in the other run with a sacrifice fly in the ninth. The BayStars had eight hits, with Lopez and Elian Herrera finishing with two apiece. Ino allowed two runs over seven innings in the winning effort. He struck out eight and walked two. 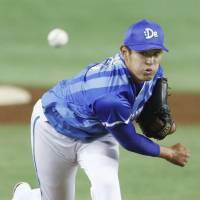 Relievers Kenjiro Tanaka, Tomoya Mikami and closer Yasuaki Yamasaki finished off the contest. The win gave Ramirez the edge over his former teammate Yoshinobu Takahashi in a battle of rookie managers. 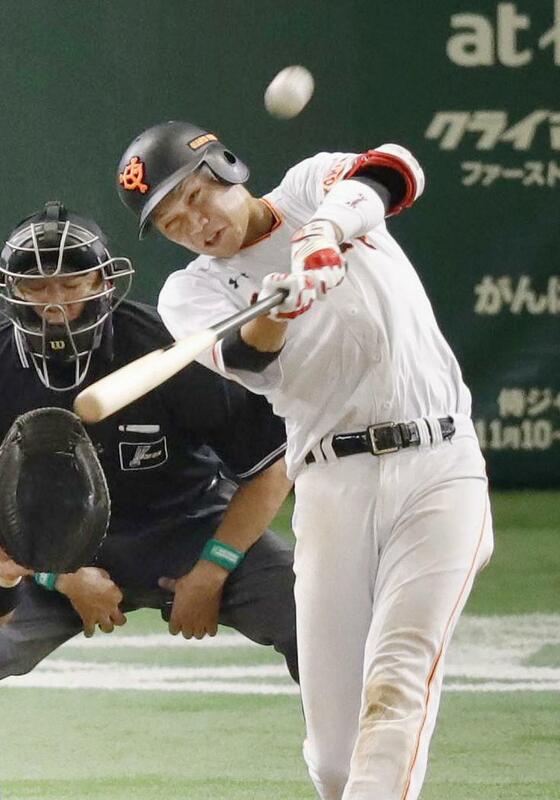 Takahashi made a couple of notable lineup moves for the Kyojin in Game 1, moving CL batting champion Hayato Sakamoto into the leadoff spot and slotting Shuichi Murata in the third spot. Sakamoto, who hit third in every game he started during the regular season, went 3-for-4 with a home run and walked once. Murata finished 1-for-4. 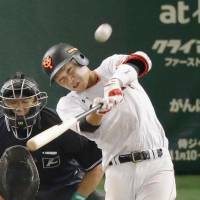 Shinnosuke Abe had a pair of hits and an RBI for the Giants and Hisayoshi Chono drove in a run. Many expected Giants ace Tomoyuki Sugano to get the ball in Game 1, but with the right-hander reportedly suffering from some ailment, the team has not divulged exactly what that is, Mikolas toed the rubber. He pitched six innings, allowing three runs on five hits. Mikolas, who struck out five, took the loss. The Giants gave Mikolas an early lead. 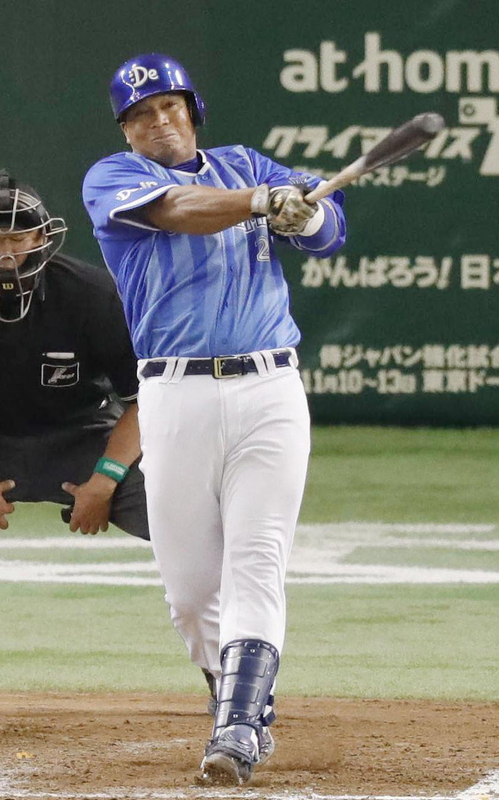 Chono came up with runners on first and second and two outs in the first inning and sliced a single to right that scored the first run of the game. Yokohama got even in the third as Kajitani went deep to center with two outs. Sakamoto and Yoshiyuki Kamei singled to begin the bottom half of the third. Ino cleaned up his own mess by striking out Murata and Abe before retiring Chono on a harmless grounder to first. Sakamoto drew a walk with one out in the fifth and advanced to third on a two-out single from Murata. Abe then singled up the middle to make the score 2-1. Lopez singled with two outs in the sixth and Tsutsugo gave the BayStars their first lead with his two-run homer. “Lopez got a hit before me and there were two outs, so I was trying to hit a home run and give us the lead,” he said. Abe started the bottom of the eighth with a double and was lifted for pinch runner Daiki Yoshikawa. Tanaka kept Yoshikawa on second, striking out Chono and Garrett Jones before leaving to a standing ovation from the BayStars supporters. Ramirez brought on Mikami to face pinch hitter Ryuji Aikawa, and he got a crucial out to end the inning. Sakamoto’s homer made the score 5-3 before Yamasaki shut the door for good. The teams will square off in Game 2 on Sunday at Tokyo Dome. First pitch is scheduled for 2 p.m.